Who will win? Or will this ‘Design Derby’ end in a dead heat? 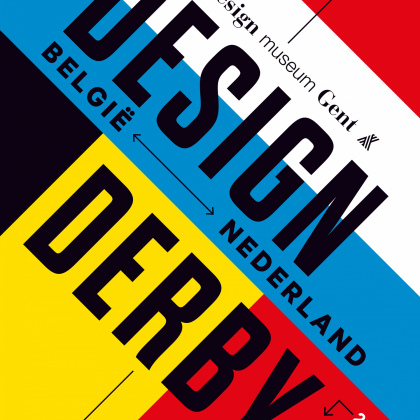 This autumn Belgium and the Netherlands will go head to head in Design Museum Gent. The best designers and designs from the two countries, spanning two centuries, will hang side by side and facing one another—from the elegance of Belgian Art Nouveau to the more streamlined Dutch variant and from Belgium’s sophisticated craftsmanship to the Netherlands’ more conceptual design. Design Museum Gent, in collaboration with Museum Boijmans Van Beuningen (Rotterdam), will showcase two hundred years of design from Belgium and the Netherlands. More than four hundred carefully selected design objects, ranging from intricately engraved silver, glassware and ceramics to contemporary furniture, fashion and graphic design, will be exhibited in chronological order and in parallel. From Empire by way of the Neo-Renaissance to Art Deco and more recent developments like eco-design and social design: the exhibition will reveal striking similarities and surprising differences between the two countries. It is the first time that design practices in the Netherlands and Belgium will be compared on this scale.